Set in the early 1970s, The World Made Straight is an adaptation of North Carolina writer Ron Rash’s acclaimed novel of the same name. In a rural Appalachian community haunted by the legacy of a Civil War massacre, young and rebellious Travis Shelton (Jeremy Irvine) finds himself ensnared in the violence of the past and the subtle evils of the present. Based on the novel by Ron Rash, THE WORLD MADE STRAIGHT also stars Noah Wyle, Minka Kelly, Haley Joel Osment and is directed by David Burris. 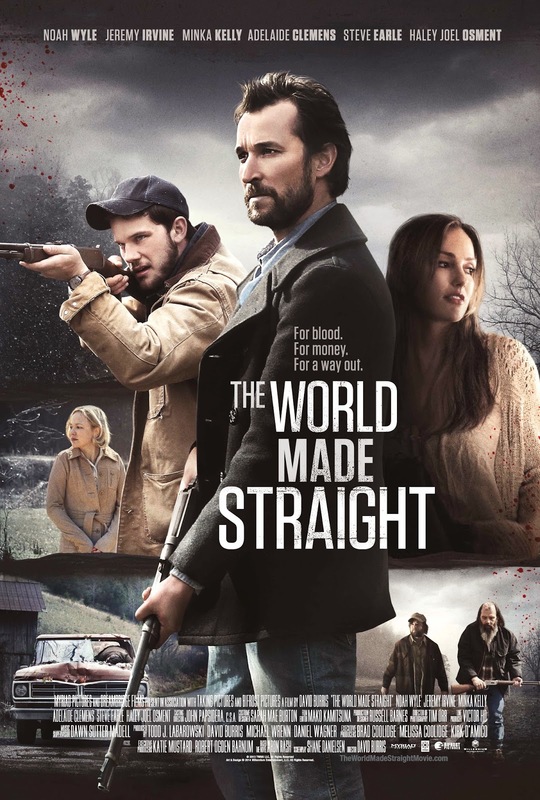 Millennium Entertainment will be releasing The World Made Straight on January 9, 2015.